Celeb Gossip News – Avengers 4 Fan Theory: Did The Infinity War Trailer Have Scenes For Endgame? The latest one offers an interesting perspective. With the Avengers speculated to turn to time travel as a means to reverse the damage done to the universe by Thanos, one fan proposes that we’ve already seen the results of this time tampering. As the theorist speculates on Reddit, the trailer for Avengers: Infinity War has references to scenes that don’t show up in the actual movie. For example, Thanos only has the Power and Space Stones on Titan in the trailer when at that point in the film he had four Infinity Stones. 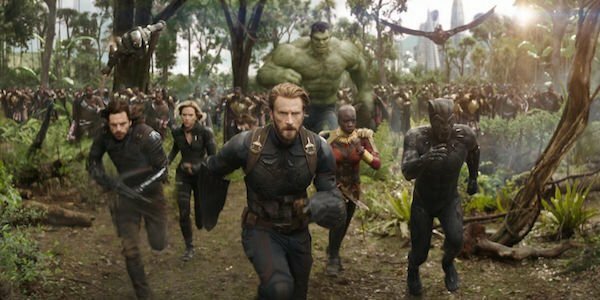 There’s also the infamous shot of the Avengers and the army of Wakanda running through a forest towards the camera, and that never made its way into the movie. I’m all for a fan theory, and this one has an interesting perspective, but I think it’s over-thinking things a bit much. For starters, lots of blockbuster trailers have scenes that don’t make it into the movie. Rogue One is an infamous example of this. Sometimes, studios will film shots for the sole purpose of putting them in the trailer — something Marvel has done on occasion. Marvel, in particular, will alter shots with CGI so as not to give away spoilers. Also, this theory somewhat implies that we’ll be seeing some scenes from Infinity War all over again, which seems unlikely. If you have access to time travel, it’s more entertaining to visit other past Marvel films than the one everyone saw only a year ago. Additionally, the idea that the Avengers are trying to change history by making really tiny changes like waiting slightly longer to join a fight is boring. We’re all chomping our fingernails in anticipation of Avengers: Endgame and we don’t have that much longer to wait. Endgame is all set to arrive in theaters on April 26. To learn more about the film, here’s what we know so far.